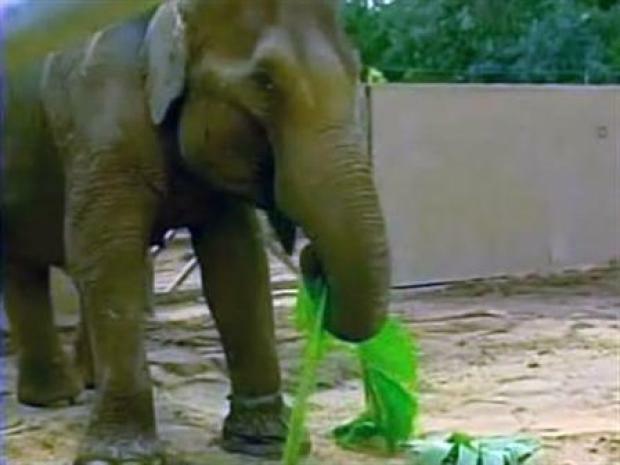 Two of the most contentious issues in Los Angeles -- billboards and Billy the elephant -- were expected to join forces Wednesday in an effort to prod the Los Angeles City Council into putting the zoo's lone pachyderm in a sanctuary. Two billboard advertisements, purchased by activists, were scheduled to make their debut in the communities of Hollywood and North Hollywood, both of which are part of Councilman Tom LaBonge's district, ground zero for dueling celebrities battling on Billy's behalf. LaBonge remains a proponent of the $42 million elephant exhibit at the Los Angeles Zoo, a project idled by a lack of dollars and disagreement about what's best for Billy. Voice for the Animals Foundation has launched a Web site, HelpBilly.org, to argue against keeping Billy, or any other elephants, at the Los Angeles Zoo. In addition to making its case on the site, the organization also boasts a lengthy celebrity roster of supporters, including Willie Nelson, Bill Maher and Susan Sarandon. The Greater Los Angeles Zoo Association, or GLAZA, has struck back against zoo critics by emphasizing a Los Angeles Times poll that boasted more than 45,000 respondents, 7 in 10 of whom supported keeping the elephant at the zoo. In addition, GLAZA was joined in its fight by Slash, the stovepipe-hat clad former lead guitarist for the group Guns N' Roses. There's even a YouTube video of Slash sans hat and sunglasses stumping for completion of the Pachyderm Forest exhibit. The Daily News reported Wednesday that GLAZA was expected to also be joined by LA's building trade unions, which have expressed concern that up to 1,000 jobs could be lost if the zoo project is cancelled. The City Council is scheduled to further consider the fate of Billy and the Pachyderm Forest next week.